Discover a selection of fantastic shiitake mushroom ingredients straight from The Mushroom Garden's family kitchen in the heart of Snowdonia North Wales where they cultivate Shitake and Oyster mushrooms. Award Winning Umami Seasoning (40g) is a special addition to every kitchen! 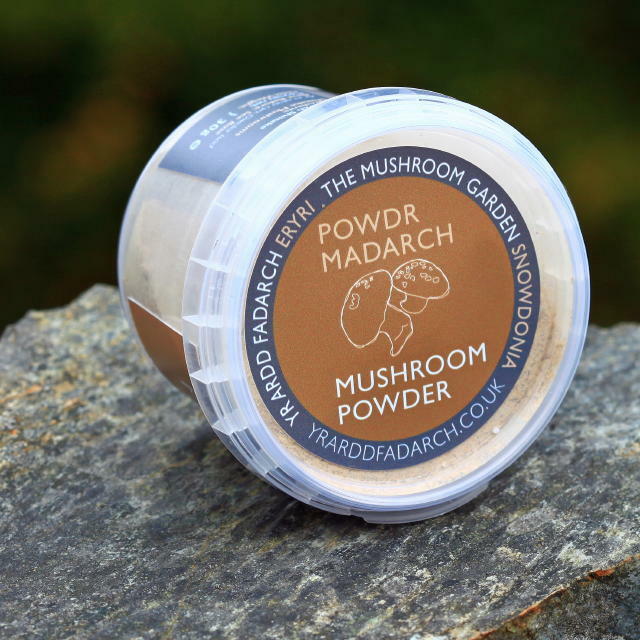 It is a blend of Shiitake Mushrooms powder, Halen Môn Sea Salt and dry seaweed. Both Shiitake and seaweed are high in Umami and the Halen Môn Sea Salt enhances the delicate flavour. Use this seasoning is like a "rub" for meats or fish before cooking eg before frying a beef steak, or if you are a bit more adventurous, try home made pasta where you replace the normal salt with Umami Seasoning for a tasty and low soduim pasta! 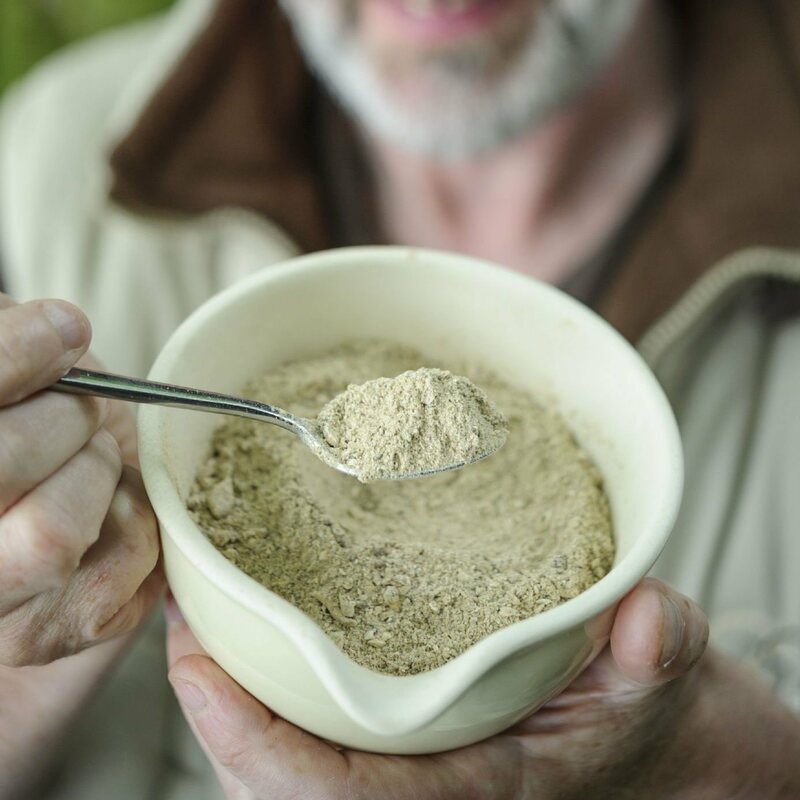 Shiitake Mushroom Powder (40g) - a must for every kitchen, the secret ingredient to give depth and “oomph”, in gravy, soup , pasta sauce, risotto, cassarole...the list is endless! This is a “hidden” ingredient used by many food producers. 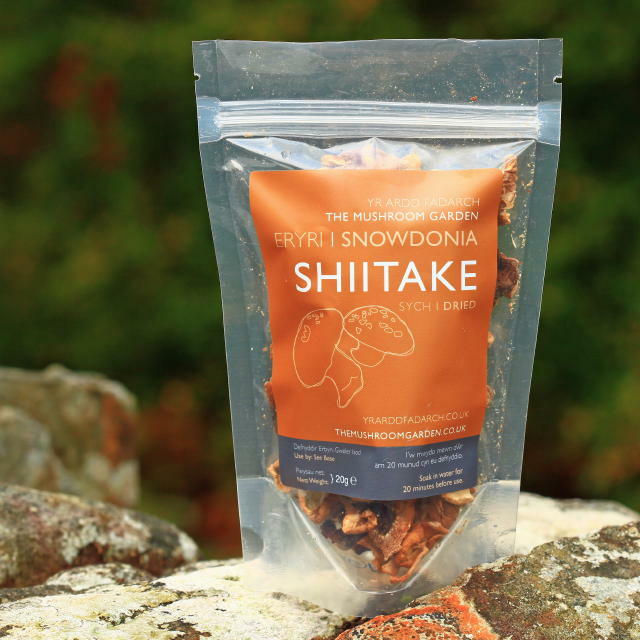 Dried Shiitake Mushrooms (20g resealable sachet) use as little or as much as you need to flavour your food. Just soak in warm water for 20 minutes before use to release the flavour of this prince of edible fungi. The "stock" left behind after the soaking can be used again in cooking in casseroles, pasta, risottos, soups or any other way you use mushrooms! You also have the reconstituted mushrooms to chop finely and add to the dish during cooking.